The West should revise the sanctions for Russia, as they have rallied the Russian support to the Kremlin, Russia's former oil tycoon Mikhail Khodorkovsky, an ardent critic of Russian President Vladimir Putin, said in Vilnius. "The sanctions have played their positive role. At the same time, long-term effects of the sanctions as they are, is debatable," Khodorkovsky said at a conference in the Lithuanian capital on Friday. He urged the Western world to come up with "more efficient" long-term measures that would be targeted at the regime, not the entire economy of Russia. According to Khodorkovsky, Putin's advocates in the West will seek to "undermine European unity by nurturing tolerance for Putin's regime". As a result, sanctions might stop working. 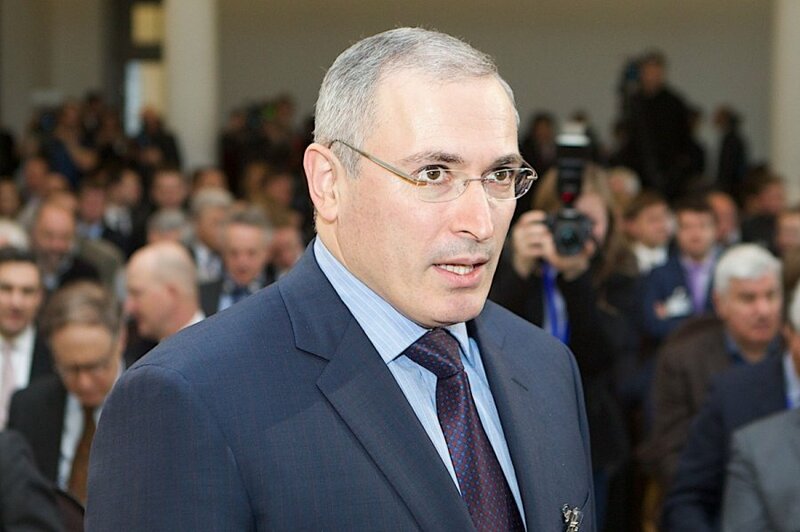 "This is why it is time to think of a long-term strategy," Khodorkovsky said. He said Europe and the United States should ease measures targeting Russia's entire economy and rather concentrate on sanctioning Putin's circle, power structures and criminal organizations. Khodorkovsky was most critical about how the Russia sanctions are presented in the Western media. According to him, it makes it easy for Moscow's propaganda to frame them as measures aimed at the Russian nation rather than against the government's specific policies and individuals in power "who have been robbing them [ordinary Russians] for over a decade". Khodorkovsky also suggested shining a light on financial assets held by the Kremlin's elite abroad. According to the former oil tycoon, the West should concentrate on fighting two major evils emanating from Russia: "export of corruption and money laundering". "Europe, I am sure, has never dealt with the export of corruption as massive as this and supported on the national level," he said, adding that the current Moscow regime would be hit, if information about the finances of Putin's circle were made publicly known. "Russia must know its heroes. And Europe its own," Khodorkovsky said. In Vilnius Khodorkovsky was also asked about his reported statements that he would not return Crimea to Ukraine, if he were elected president. "I have declared my position that I only see myself working during the transitional period - from the current regime's collapse to the first free elections. Clearly, this comparatively short period would not be enough to make a decision about Crimea," Khodorkovsky said. According to him, should the current regime in Moscow collapse, the new transitional government would not have enough legitimacy to reverse Crimea's annexation which, after all, has been approved by a vote in parliament. First, he said, an "honest referendum" will have to be organized in the peninsula.